So we’re thrilled to share that we are no longer a set of blueprints and artist’s renderings. We’re right on schedule, now watching footings being poured, walls going up and the infrastructure being installed. This is exciting for us. 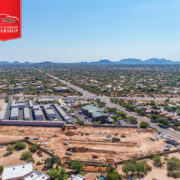 Construction is moving faster and faster. And we are looking forward to seeing our condo-like garage structures being built like a kid counting down the days until he can get his driver’s license. Please keep track of our progress. 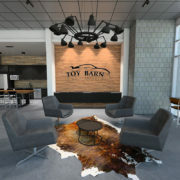 We guarantee that when we’re finished, and you’ve had the chance to see what The Toy Barn at Lone Mountain is all about, you’ll want to join us. It’s difficult to describe the sense of accomplishment and fulfillment we’re feeling these days as our vision becomes reality. 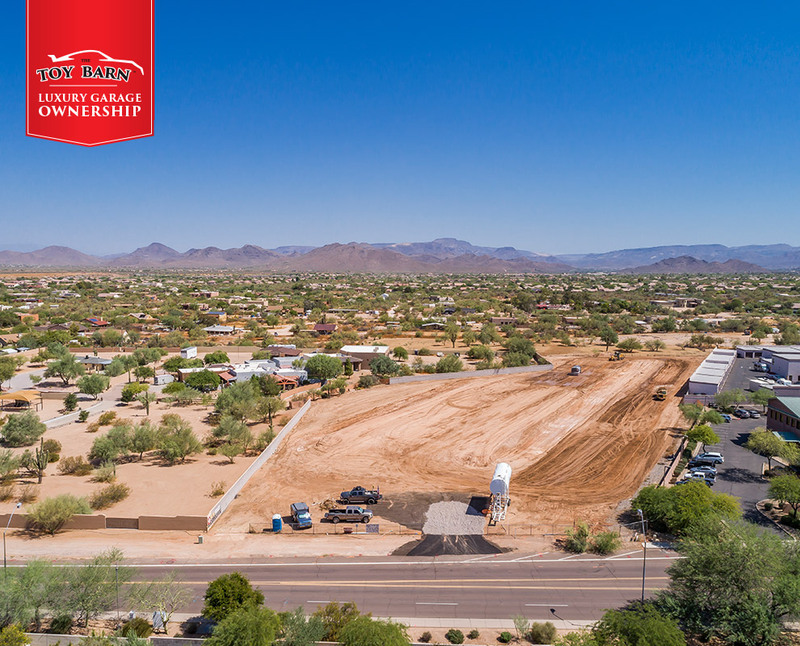 It started when we acquired the land, completed the entitlement process and then built Toy Barn at Cave Creek and Peakview Road. Our satisfaction just grew even greater after we broke ground on our second Toy Barn, this one on Lone Mountain Road. 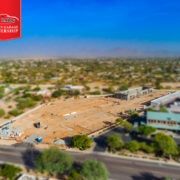 And soon we’ll be busting at the seams, with tremendous pride, right after we begin building Toy Barn at Scottsdale Airpark. We had a dream, we executed our plan and now we’re on a roll. 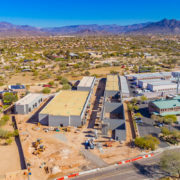 We understood the need for luxury garages, with all the bells and whistles, and the wisdom of offering them as titled, condo-like properties that can appreciate and then be sold as a valuable investment. Our vision is vast. We know there are many passionate ‘toy’ owners who want and need a dedicated luxury garage space, complete with clubhouse, 24/7 security and ownership. And we’re going to continue building Toy Barns, in order to satisfy the demands of every car, motorcycle, boat and RV enthusiast in town.